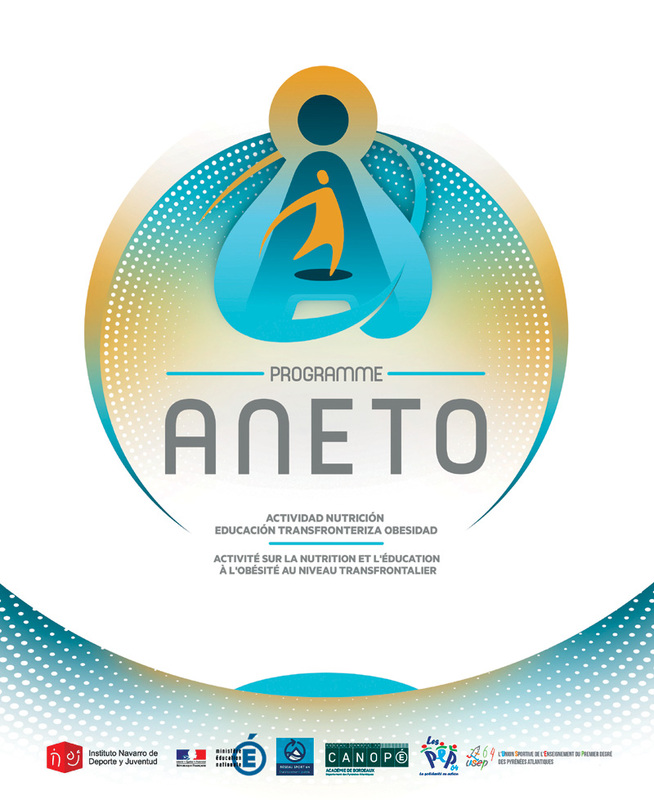 One of the objectives of the ANETO Project is to sensitize the population in general and families in particular of the importance of acquiring healthy lifestyle habits, both in relation to food and to the practice of daily physical activity . For this reason, in the month of January we began the training talks for families of the participating ANETO schools. The theme was about "Healthy eating at school age" and was well accepted. During the months of March and April the talks on "Physical activity and health at school age" take place in the different centres. The dates and times can be consulted here. 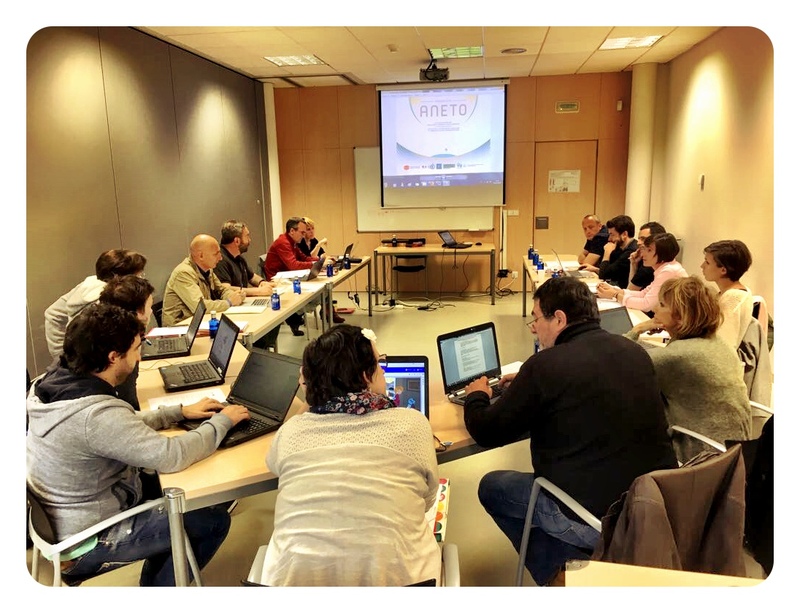 On March 12, the last training session was held for the teachers of the 10 intervention centres of Navarre that are part of this school year 2018-19 of the ANETO Project. The place of celebration was the Centre for Studies, Research and Sports Medicine (CEIMD). In this session the guidelines were given to be able to put into practice in the classroom the physical activity module of Kin Ball. Likewise, the teachers received basic notions of healthy nutrition at school age. In addition, it was used to make an exchange of ideas among all of them about the implementation of the athletics module. It was a very enriching session for everyone. The speakers of this session were Ander de Miguel and Cecilia Gómez, Esteban Gorostiaga (director of CEIM) was also present. Once again, thanks to all the teachers and schools for your involvement and dedication. 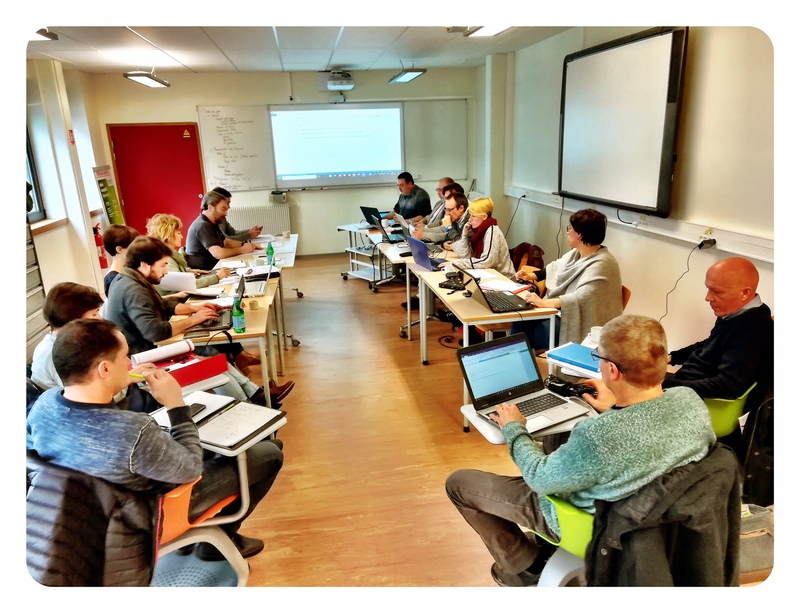 On February 8, the first meeting of the ANETO Project Technical Committee took place this year 2019. It was held in in the Orhy room of the Nelson Paillou Center in Bayonne. Representatives of all ANETO members attended. Several topics were discussed, among them the organization of the Cross-Border Days that will take place in May with the participating schools. In addition, special attention was paid to the issue of deadlines and documentation required for the next certification on April 1. Finally, a balance was made of the current situation of the intervention in the educational centers of the ANETO Project, explaining how the initial physical and anthropometric tests carried out in the months of September-November had passed. On February 6, the third training session was held for the teachers of the 10 intervention centers of Navarre that are part of this school year 2018-19 of the ANETO project. The session took place at the Center for Studies, Research and Sports Medicine (CEIMD) and the speaker was Marie Odile, trainer of the Department of Atlantic Pyrenees in France. It was a very positive session, with a great exchange of ideas among all the participants. Thanks to Marie for her professionalism and empathy with our teachers. And to the teaching staff and management teams of the educational centers, thanks for the effort you are making! On February 6, the tender announcement of a contract to design and implement a design, evaluation and generation of physical fitness tests forthe ANETO project was published in the contracting portal of the Government of Navarre. The work is part of the implementation of the cross-border European project of Prevention of Childhood Obesity ANETO, approved within the framework of the INTERREG VA Spain-France-Andorra Program (POCTEFA) 2014-2020, co-financed at 65% by the European Regional Development Fund (FEDER), with the number EFA 272/16. The tender specifications of the contract can be downloaded here. The date of presentation of the offers ends on February 20 at 23 h 59 min. Within the communication action, the creation of an informative website about the ANETO project has been proposed, and the creation of an application that allows managing the results of the physical aptitude and anthropometric measurement tests that will be carried out. The application should allow creating a database of participants and the people who manage the data, create tests so that some users can enter the results of the tests, create evaluations (test suites) adapted to the program and generate individual reports and of group automatically or semi-automatically of the evaluations carried out. The program should be open to allow authorized users the possibility to create and design new tests, new evaluation templates and new report templates. It must also be in Spanish, French, Basque and English versions. This application will allow tutors or teachers of physical education in schools the possibility of entering the data of the results of physical or anthropometric evaluations carried out with their schoolchildren, a diagnosis of the physical condition of these students compared to the references international and the rapid and automatic development of reports to parents, seeking maximum efficiency of the time spent by the teacher in the process and an improvement of their benefits that should impact on the improvement of physical condition, education in healthy habits and the health of school children. 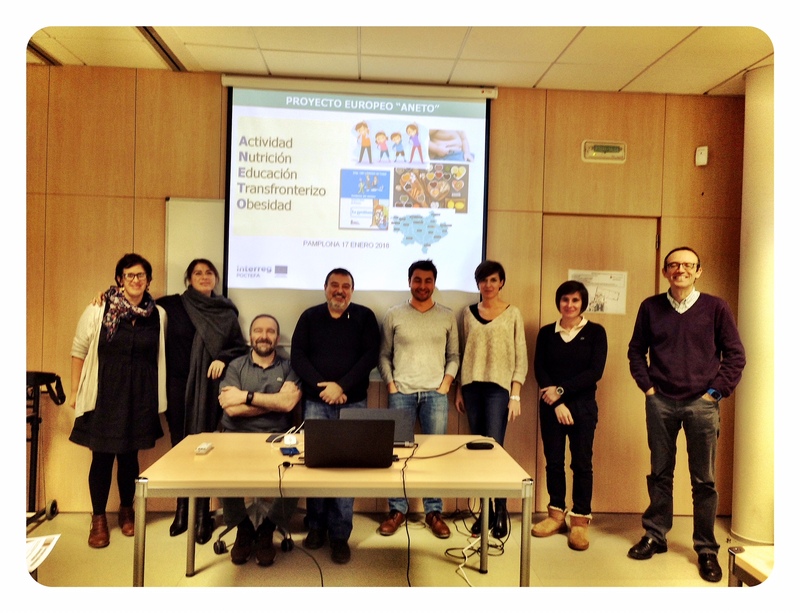 During the 14th and 16th of January the teachers of the 10 intervention centers of Navarre that are part of the ANETO project in the present school year 2018/2019 have been trained. 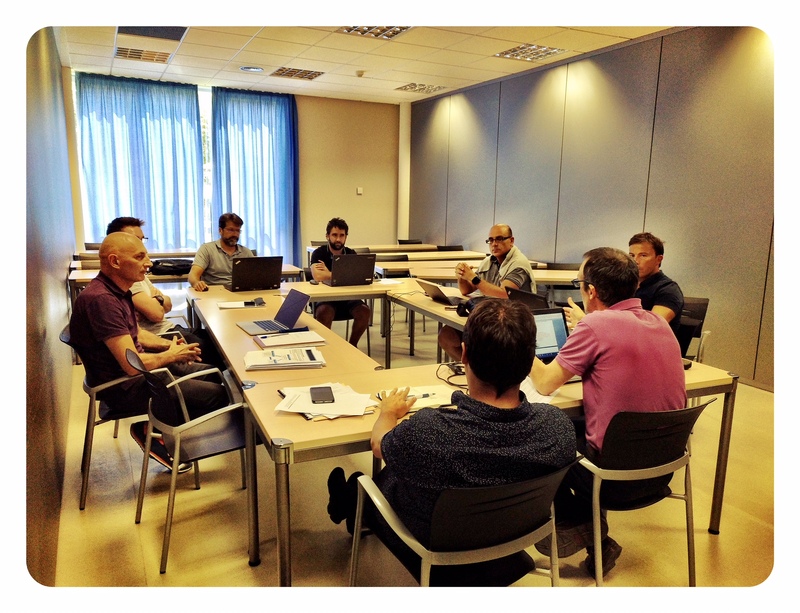 The course was taught at the Center for Studies, Research and Sports Medicine (CEIMD), in Pamplona. The speakers were Ander de Miguel, Cecilia Gómez, Carlos Chavarren (ambassador etwinning in Navarre) and Elisa Echenique (Department of Education of the Government of Navarre). Thanks to all the teachers for their attendance and participation! 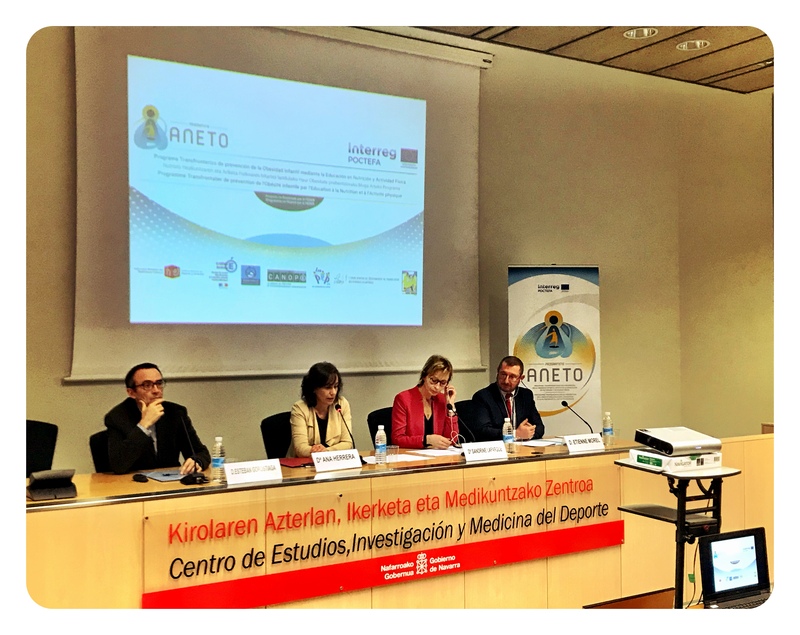 On Monday, November 12, at 9:30 am, the official presentation of the ANETO Programme took place at the Centre for Sports Studies, Research and Medicine (CEIMD) of the Government of Navarre, in Pamplona. Next, the ANETO Steering Committee met. On September 22, the C.P. Iturrama was the first school centre of the ANETO Programme to undertake the physical fitnes and anthropometric tests. They have been followed by several other centres such as: C.P. San Jorge, C.P. Sanduzelai, C.P. Lorenzo Goicoa, C.P. Irurita Gotzaina, C.P. Atargi, C.P. Doneztebe San Miguel and C.P. Hegoalde. The goal is to finish all measurements in the month of November. Thanks to the schools for their collaboration! 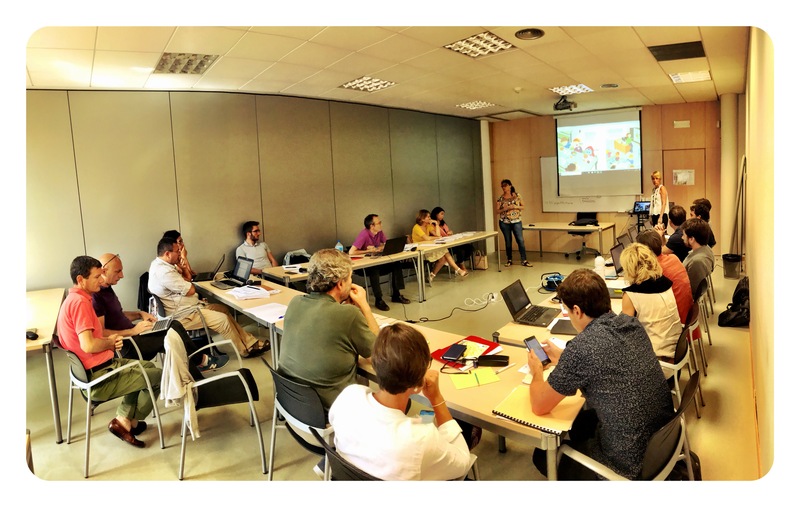 During the month of September and until mid-October, the ANETO Programme was presented to the families of the different participating schools in Navarra. They were explained what the project consisted of, its objectives and the different actions that will be carried out throughout the school year 2018-19. The sessions were held individually in each centre and many questions were answered, both by families and by those responsible for the educational centres. The sessions were very well received. Thank you very much for your participation! Information meetings for families, teachers and professionals took place on the French side: Monday 10 at the Hasparren library, Tuesday 11 at the associations of the Bayonne Chamber, and Thursday 13 at the Saint Palais cinema. The presentation of the program was well received by all! 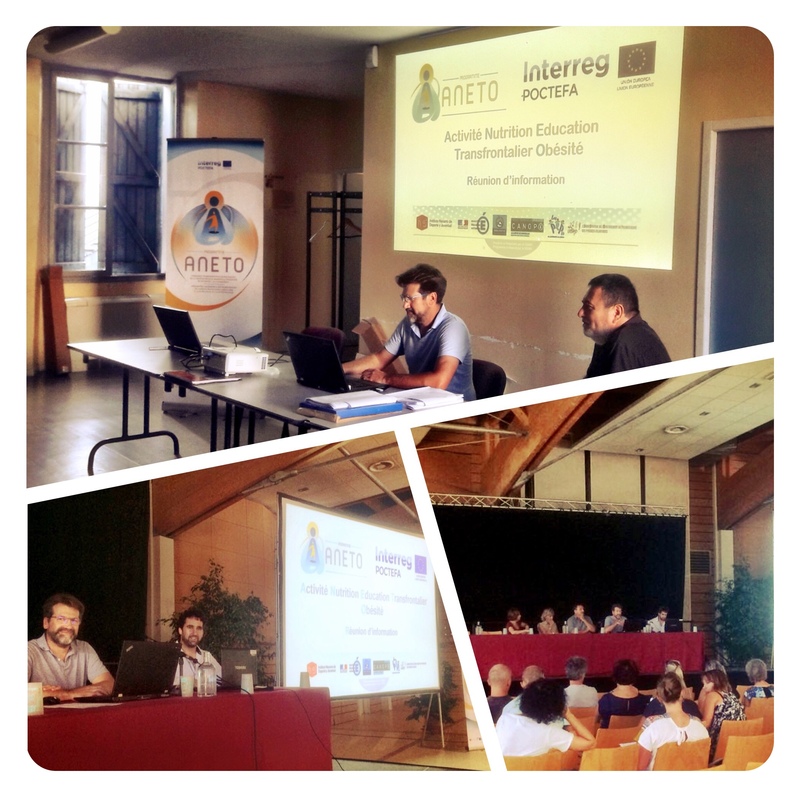 The CEIMD hosted the fifth meeting of the Technical Committee of the ANETO project. Iniciativas Innovadoras informed that the ERDF agreement had already been signed and that the procedures for the incorporation of a new partner could be initiated. The status of each partner and the documents required for certification were also explained. Iniciativas also presented what needs to be done within the communication plan and the obligation to give visibility to the ANETO project within the web of each participating partner. The details of the communication plan were discussed with Anne Serbielle of Réseau Sport 64. The progress made in the teaching materials (story and educational guide) was then presented. The story was closed, which will shortly be sent for publication. The on-line versions of the story (Spanish, English, French and Basque) are already available on the web aneto.eu to download. The need to continue working to finish the educational guide in the very near future was emphasized. The progress made in the web (which is already available in French) was exposed. The definitive lists of French and Navarrese schools where the intervention will take place are closing. September 18th was proposed as the day to make a training in anthropometric measurement and practice the battery of physical condition tests. It was also discussed how the training for teachers will be. Nicolas Blanchet will come to Pamplona at least twice in the following weeks to provide training. Elisa Echenique, head of eTwinning Navarra, attended the meeting and explained how work will be done in Navarre with the teachers. Julien Latour highlighted the importance of eTwinning for POCTEFA, one of whose objectives is to have contact between teachers from both countries (France and Spain) for the exchange of ideas and good practices. Finally, two working groups were formed: one focused on the management of eTwinning; the other in the content and edition of the ANETO Teaching Guide. The Departmental Council of the Atlantic Pyrenees has hosted the last meeting of the Technical Committee of ANETO. Representatives of all project partners were present. The INDJ presented the new company in charge of the administrative and financial management of the project: "Iniciativas Innovadoras” (Innovative Initiatives). The head of this company for the ANETO, Sara Esparza, made a presentation explaining what its technical assistance function consists of. Sara explained the process of certification of expenses, the main POCTEFA obligations in terms of communication that the partners must meet, as well as the process of incorporation of new partners and other possible modifications. With respect to the Communication Plan, R. Sport 64 presented the final logo. The definitive title of the project was also closed in Spanish and French and the format and text for the final worksheets. It was agreed how the request for material for the dissemination of the project will be, complying with the POCTEFA communication guide (roll-ups, posters, stickers, etc.). The INDJ explained the meeting held with the illustrator and the changes made in the educational materials (album and guide). They also explained the latest changes and updates to the project's website, which already has its own domain (www.aneto.eu). It was verified that the logos and links to the websites of the different partners were the correct ones. 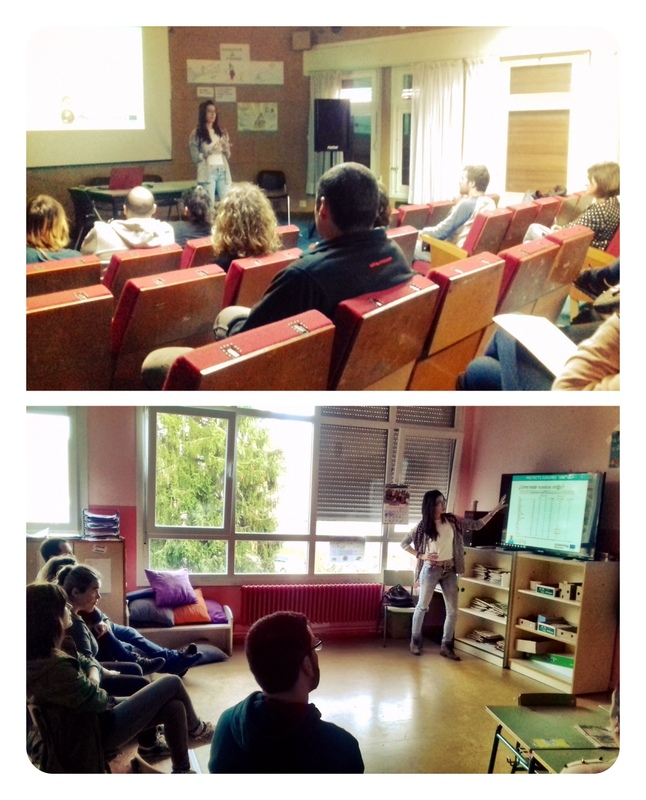 DSDEN and INDJ explained how the selection of the Navarrese and French schools will be carried out. The INDJ presented the material and the budget for anthropometric measurements and physical tests, as well as the advances in terms of the ethical committee. DSDEN presented the list of sports equipment necessary for schools. After lunch, a meeting was held in two groups. A group (PEP, INDJ, CANOPE) was in charge of working on the album, the educational guide, the agenda and the didactic units. 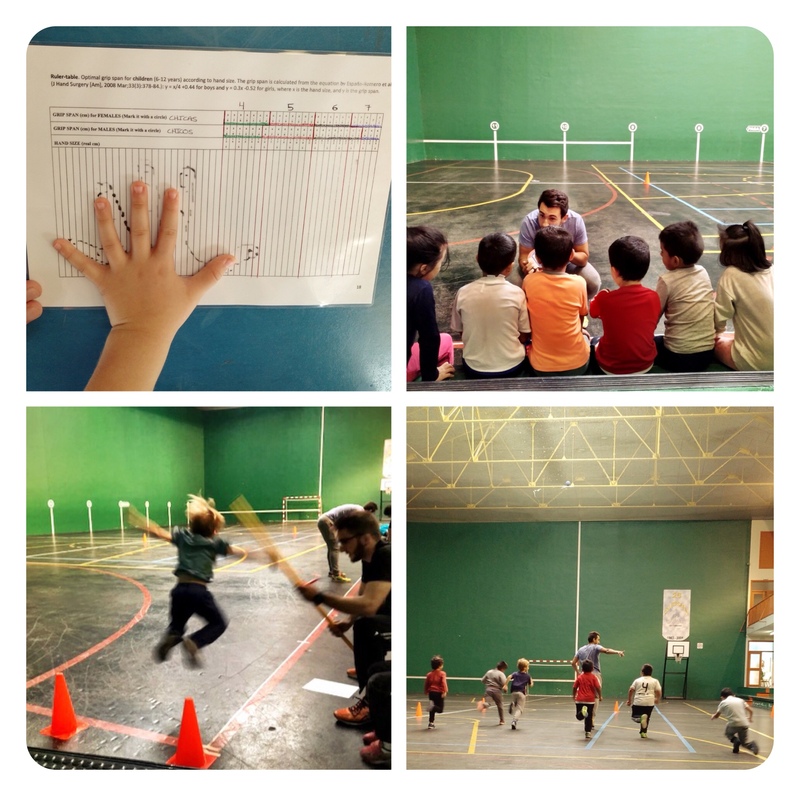 The second group (DSDEN, INDJ and CANOPE) analyzed the physical fitness tests and the physical activity program for children. It was agreed to continue making progress in the activities to be carried out in the schools and to work on the theoretical part of the educational guide. 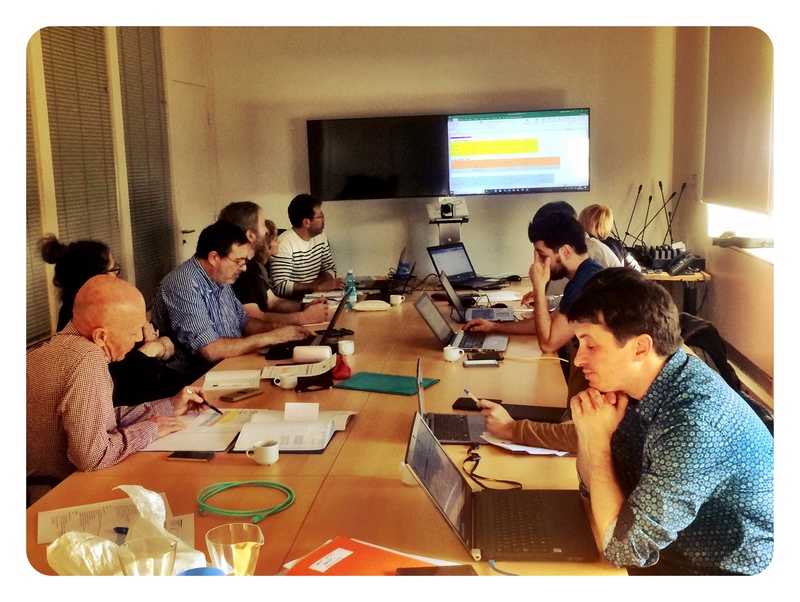 CEIMD hosted the third meeting of the Technical Committee of the ANETO project. Attended by representatives of the INDJ, Les PEP 64, Réseau Sport 64, DSDEN 64 and Réseau Canope 64. It began with a presentation of the importance of the Project by Primitivo Sánchez (deputy director of the INDJ), noting that it is one of the priorities of the INDJ for the next 2 years. Carlos Astrain (Section Chief of the Evaluation, Quality, Training, Equality and Coexistence Service of the Directorate General of Education), refered to the importance of the project within the Department of Education of the Government of Navarre and offered us his collaboration as a liaison with Navarre schools and the delivery of training through the eTwinning platform. Next, the communication plan and the final version of the logo were presented. The languages in which the school agendas would be edited were discussed. An initial sketch of the ANETO website was also presented. 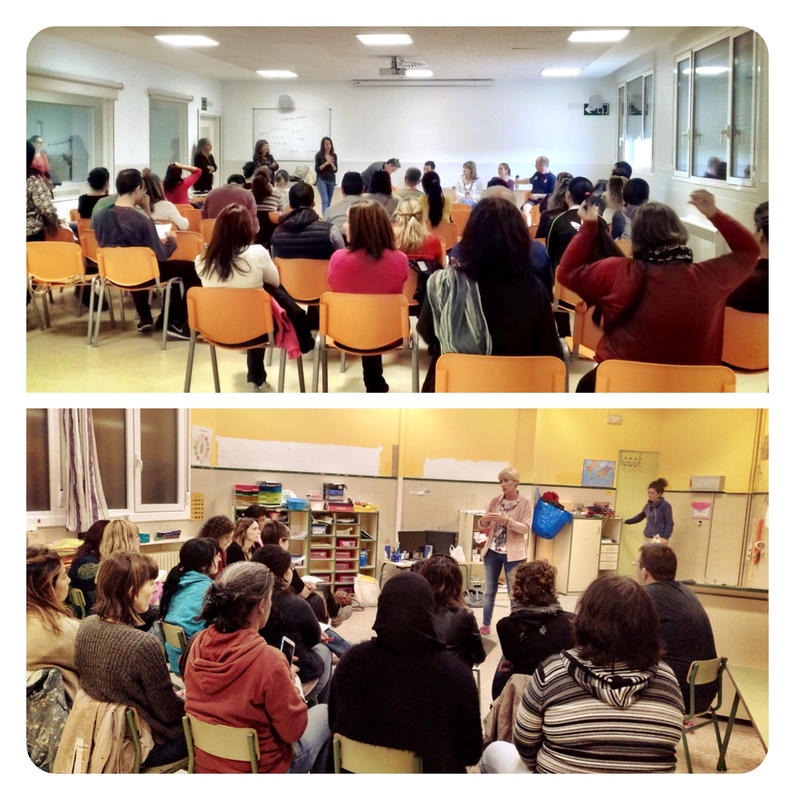 As for the intervention to be carried out, an initial selection was made of the Navarrese and French schools. The topic of the Ethics Committee for the Project was also commented. DSDEN presented the list of sports equipment for schools and the activities to be carried out. After the meal, the attendees were divided into 2 groups. One group dealt with the following topics: album, educational guide, agenda and teaching units (PEP, INDJ, R. Sport 64) as well as the importance of closing the nutrition messages for the materials. 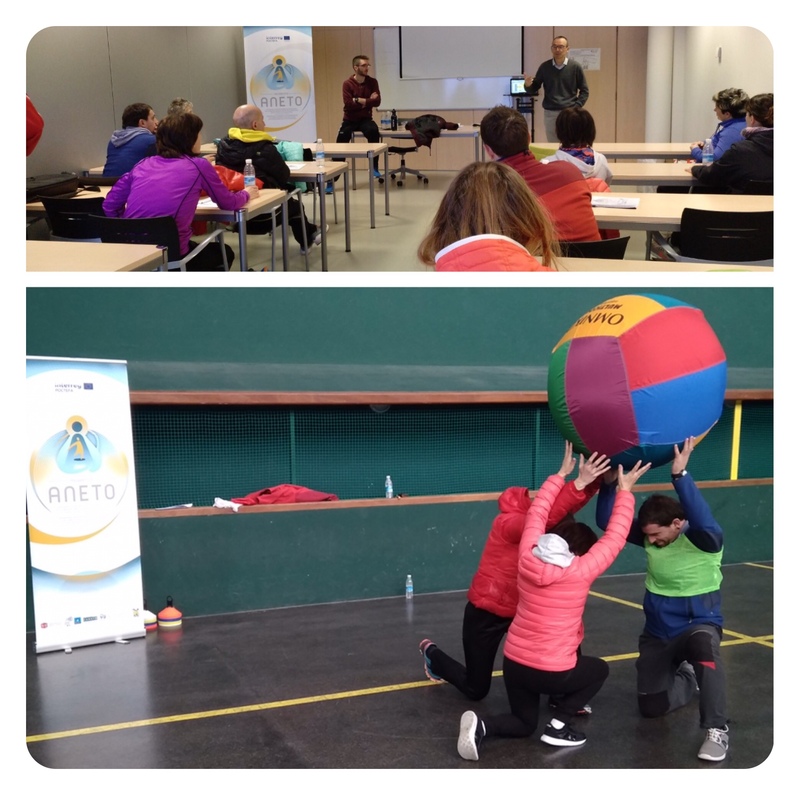 The other group analyzed the physical fitness tests to be incorporated in the ANETO, as well as the physical activity program for children (DSDEN, INDJ and R. Canopé). The main activities to be carried out in schools were defined. On Tuesday, March 20th , the different partners of the ANETO program for the prevention of childhood obesity met at the Atelier Canopé 64 in Bayonne. The progress of the different working groups was presented on the agenda. The presence of Mr. Pascal Dejoux, Inspector of French National Education for physical education and sport in the department of the Atlantic Pyrenees, once again confirmed the commitment of departmental services to the success of this program. The selected schools and classes were presented. The training sessions are scheduled for April and will welcome all interested teachers. The financial aspects were later treated by Julien Latour of the Council of Department 64. Nicolas Blanchet of the DSDEN, made a summary of the POCTEFA seminar in Barbastro (Huesca) on March 15th . Subsequently, the work of the different groups was presented and the tasks to be carried out were planned: communication plan and logo proposal by Olivier Vissières and Anne Serbielle of Réseau Sport 64; web page and the application for data management (Javier Ibáñez, INDJ); sketch of the story of Ana and To (Delphine Goyeneche, creator of the story). Esteban Gorostiaga (INDJ) and Edson Vanz and Lucie Darjo (PEP 64) presented the teacher's guide that is still in the process of being developed. 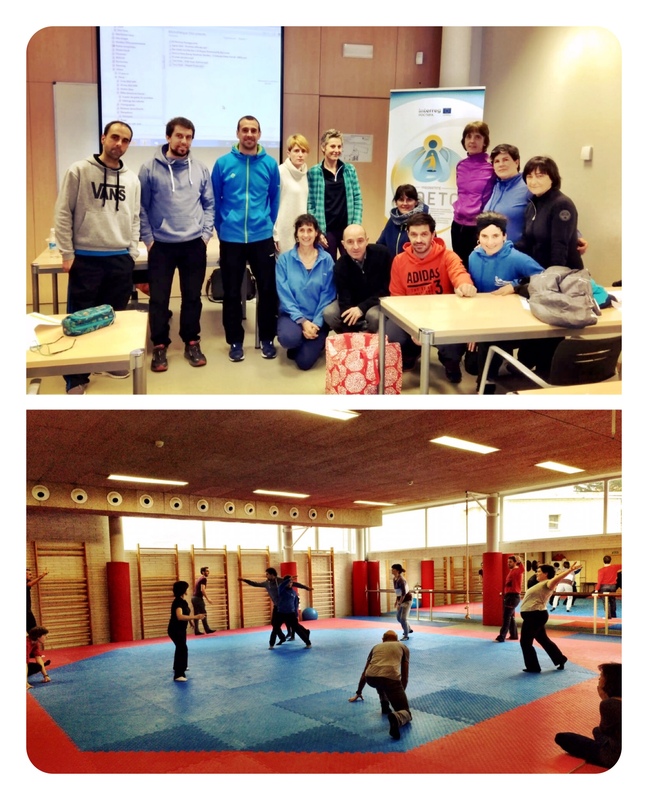 The program of physical activities was presented by Nicolas Blanchet and the team of pedagogical advisors of the EPS. The members of the INDJ, DSDEN 64, CD64, PEP64, Réseau Sport 64 and Réseau Canopé 64 will meet again on May 3rd in Pamplona. The Technical Committee for the ANETO cross-border project (POCTEFA Program) has met for the first time in Pamplona since the approval of this project. 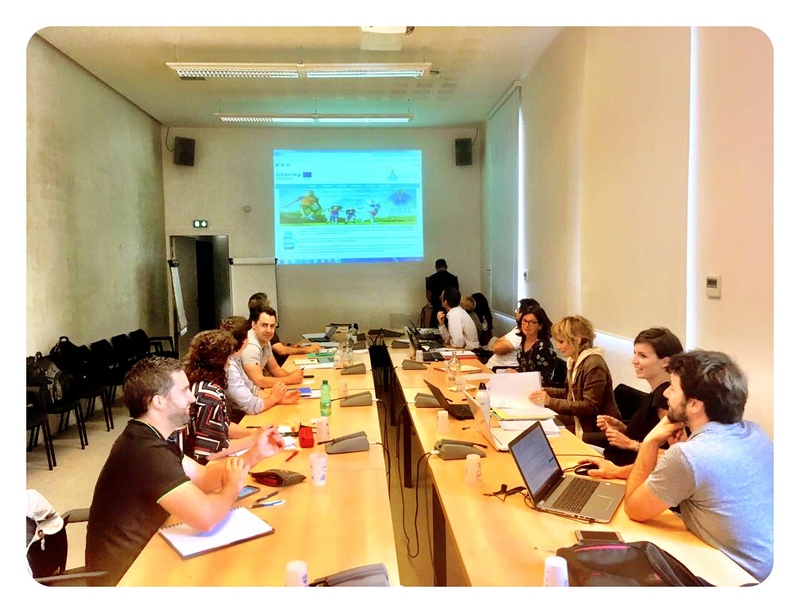 The meeting was attended by representatives of the Navarra Institute of Sports and Youth (INDJ), organizer of the meeting, and French project partners (Education Nationale, Les PEP 64, Réseau Sport 64 and Réseau Canope 64). The following topics related to the actions of the program were discussed: 1) Presentation of the storybook script for 6 years old children and choice of characters and their names; 2) Presentation of a diagram of the Teaching Guide; 3) Communication plan; 4) Use of the FRAMASOFT tool; 5) Ethics Committee and Work Plan until the next meeting of the Technical Committee (to be held in March in Bayonne). In the first year of the program the didactic and operational tools of the intervention in the schools will be designed, in the second year (school year 2018-2019) the nutritional intervention and physical activity will be carried out in the schools in children of 6 years, and in the third year, the most relevant results and conclusions will be analyzed and drafted. through the Interreg V-A Spain-France-Andorra Program (POCTEFA 2014-2020).